Last week it was one of my colleagues birthday. She is one of those “lucky” people who can’t eat lots of things, but gluten is her biggest no no, so I was on the hunt for a good gluten free cake recipe. 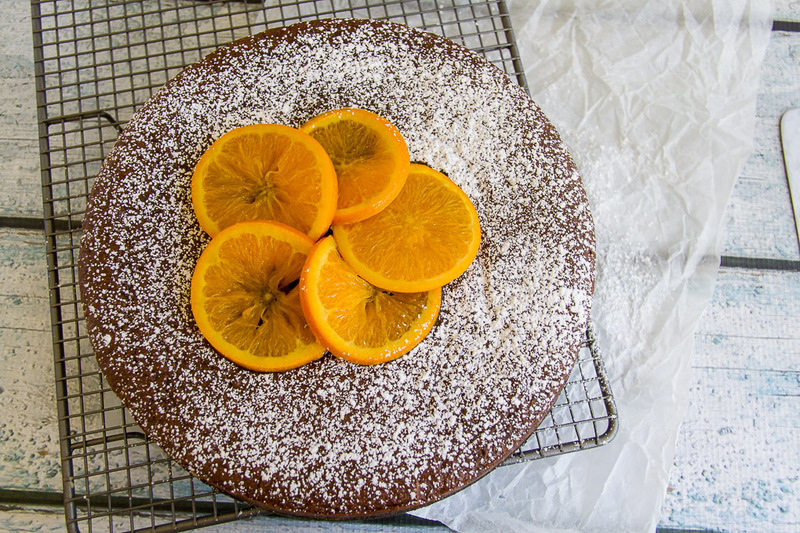 I remembered a flourless chocolate orange cake that CB had made before and looked it up, but in true style, we didn’t have all the ingredients. It was 8.30 at night, and I was on a mission, so undaunted, I took the basic idea and then modified the recipe to suit the ingredients I had. The cake turned out beautifully, and I fooled my colleagues into thinking that I am a superior cook. The cat may be out of the bag, if they read how easy the cake is to make. So easy in fact, that I made it again for dessert on Sunday night. Place the oranges in a saucepan of water and simmer for 30 minutes. Cut the oranges in half and remove any seeds. Allow the oranges to cool. Place the whole orange in a food processor and pulse until smooth. Melt the butter and chocolate together in a bowl over a saucepan of hot water. Allow to cool slightly. In a second bowl, whisk together the eggs and castor sugar until well combined. Stir in the almond meal and cocoa. Stir through the chocolate and butter mixture. 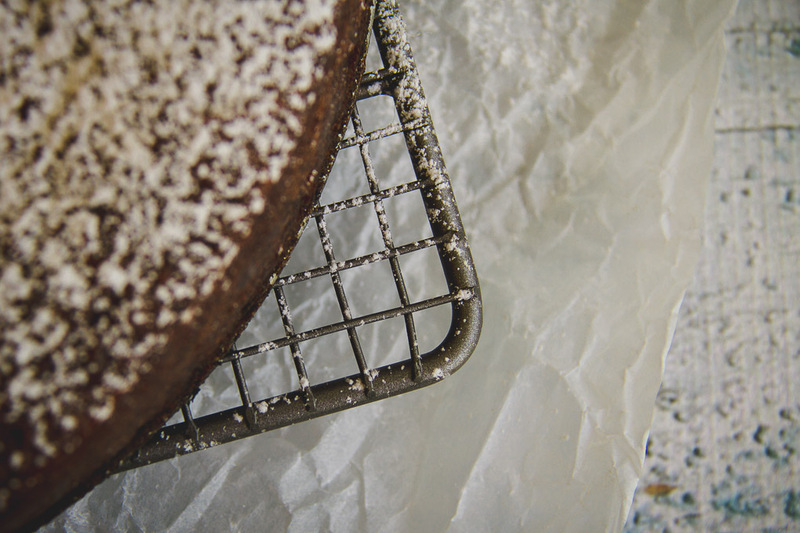 Pour into a 22cm lined spring form cake tin. 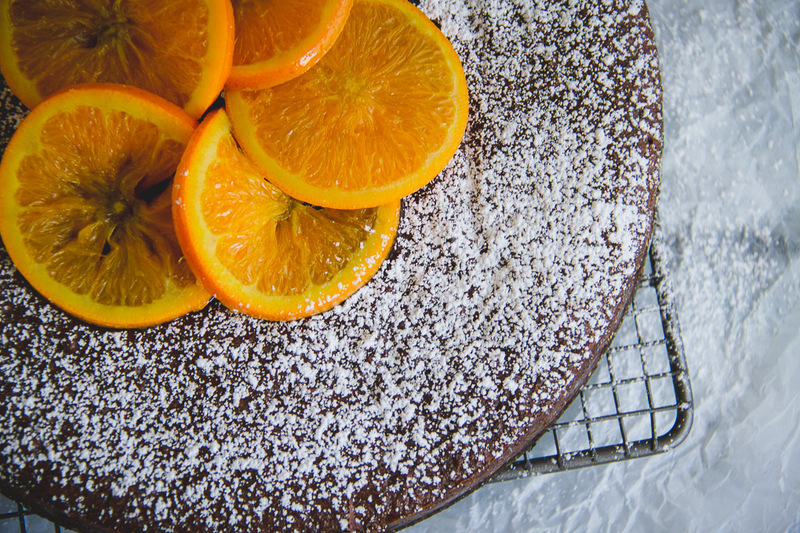 Bake for an 1 hour 15 minutes at 180*c.
To make the orange garnish, thinly slice one orange into rounds. Heat ½c sugar and ½c water together and bring to the simmer. Place the orange rounds in the syrup and allow to simmer for 10 minutes. Leave the orange rounds to cool in the syrup. I put the oranges on to boil, and then after I take them out, I pop the bowl with butter and chocolate on top of the same saucepan to use the residual heat to melt them. By the time all the ingredients are ready, the chocolate has melted and the orange has cooled down, and the whole thing actually only takes 15 minutes to pull together. Do you find that you need to alter recipes to suit your ingredients? Made any great cakes lately?